LGBTQ patients experience disparities in access to and quality of care, leading to preventable, adverse health outcomes including elevated risk for specific chronic diseases and increased rates of suicide and depression. The Certificate in LGBTQ Health is designed to teach students how to address these disparities, improve the health of LGBTQ patients, support education around LGBTQ health, and foster research on the optimal ways to care for LGBTQ patients and families. Research Immersion in LGBTQ Health. 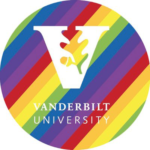 Students will select a research topic within the realm of LGBTQ health. This may include selecting a topic within a clinical specialty, for example, adolescent medicine, infectious disease, psychiatry, or surgery. Projects may combine empirical and conceptual work with mentorship provided by designated mentors. with chronic stress), clinical specialties highlighted in the course include pediatrics and adolescent medicine, OB/GYN, psychiatry, and internal medicine with content threads from ethics, medico-legal health care, human development, and chronic care. Capstone Project. Each student will complete a capstone project related to LGBTQ health. This may include development of patient education materials, providing a community or staff training, or implementation of a quality improvement project. The capstone is expected to enable students to demonstrate proficiency and acquired knowledge in the area of LGBTQ health. Each element may be taken separately, but completion of the Certificate in LGBTQ Health requires successful completion of all three elements.